All homes need an electrical-installation condition report (EICR) - does yours have one? Around 4 people a day are injured or killed in fires related to electrical faults, according to government statistics. Every home should have a regular EICR check to ensure your electrics are safe. What is an electrical-installation condition report (EICR)? What should be checked during an EICR? What should you look for in an EICR provider? How can you prepare for an EICR check? Just like taking your car to the garage for an MOT, or getting a heating engineer to service your boiler, we all need to get an approved registered contractor that can be found on the Electrical Safety Register to check our electrics are safe. An EICR is the safety certificate and report that an electrician supplies following an inspection of your property. Campaigning charity Electrical Safety First recommends getting an EICR done every five years in a private property. Landlords are encouraged to get a new EICR each time they change their tenants, or every five years, whichever is sooner. If you fail to check and maintain your electrical systems, insurance companies can use this as a reason to refuse claims if they’re a result of electrical faults. But not enough people are aware of these checks. It's essential to stay safe when using electricity, which is why we'd always recommend employing a professional registered electrician to work on your installation. The statistics are scary - 70 people are killed and 350,000 people seriously injured each year because of electrical faults, and they’re the cause of almost half of all accidental UK house fires according to Electrical Safety First. We talked to Which? 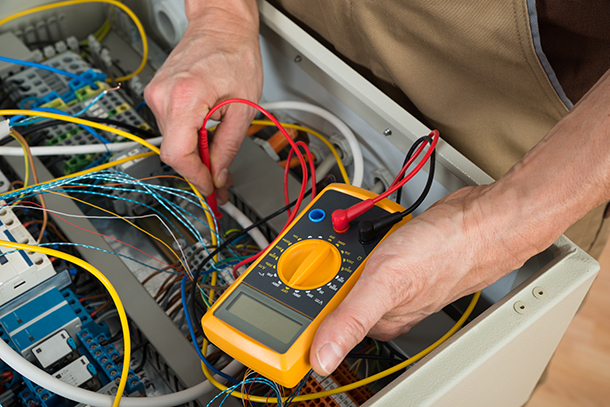 Trusted trader Penningtons Electrical Contractors Ltd to find out more. If you want to carry out an EICR on your property, find a Which? Trusted Traders-accredited electrician in your area. Read on for more detail about the EICR. The EICR is a comprehensive check of the fixed wiring of your electrical installation. It’s a snapshot of your electrics to establish whether they're safe and compliant with the regulations, and to identify any potential safety issues. It’s about checking the underlying electrical system – the wiring, the fuse board, earth bonding and all the other bits you can’t see that could be a risk – rather than whether your lights come on or not. Your electrician will visit your property, make a visual assessment, and then carry out a series of checks on your electrical systems. If they find any ‘code one’ problems, ie problems that are immediately dangerous, they will need to arrange to fix those there and then or at least make them safe. They’ll note any other ‘code two’ problems that are potentially dangerous, and will provide a quote to fix them at the end of the process, along with any ‘code threes’, which are recommendations not deemed unsafe. During the visit, the electrician will complete a seven-page report. A qualified supervisor will then sign off the report to make sure it’s correct. The electrical company will then provide you with a copy, following your payment for the visit and any work carried out. It will also provide you with a quote for any further remedial works recommended in order to bring your system up to standard. It can take a couple of days to process the paperwork. Other checks designed to prevent fatal electric shocks include ensuring that everything is correctly earthed. Your electrician will check this on your gas-meter pipework, water pipework, radiators and all the metal in the building. They will also check a sample (at least 10%) of your sockets, lights, switches and accessories to see that the wiring is installed correctly. Which? Trusted trader Darren Pennington, of Pennington’s Electrical Contractors Ltd, told us that the majority of properties they inspect do not pass with flying colours – in fact, he said he would be worried if they did. This is partly because the regulations are updated all the time. A property that was compliant today might not be in two years’ time. NICEIC accredited at approved contractor level, or approved by another electrical regulatory body at a similar or higher level - you can check this on the Electrical Safety Register. NICEIC, STROMA and the ECA are regulatory bodies for the UK electrical industry that carry out competency checks on electricians. 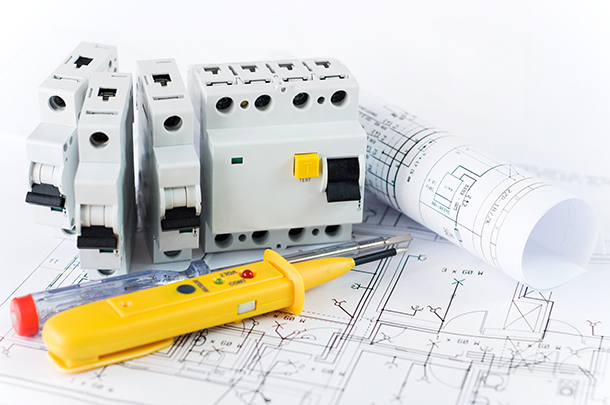 There are different levels of qualification, and an approved contractor will have the relevant experience to carry out an electrical condition report. A Which? Trusted trader and, ideally, also trading-standards approved. three to five hours in a three-bed, and so on. 3. Calculate the price they quote against the time they expect to take. You should expect to pay around £40-£50 per hour in the property, plus VAT. Beware of low-cost options where companies claim to undertake a thorough check in an hour and a half. If the electrician isn’t there long enough, they’re not doing the job properly. 4. Ask what the limitations will be on the report – if you want someone to check only your garage, for example, that’s an ‘agreed limitation.’ If you want to check the whole property, ensure that is what they will do. If you receive a report with LIM written all over it, you should ask why. LIM stands for limitation, which indicates that the electrician could not access or test the area they needed to check. There may be genuine reasons for this (a locked door preventing access, for example), but unscrupulous operators may prioritise speed over thorough checks and not try too hard to access all your wiring. The result is a certificate for an electrical system that has not been fully checked. Be aware that your electrician will need to turn the power off before working on the wiring. You will not have access to any electrical gadgets, so it may not be the best day to work from home. It might be easier to let them in and leave them to get on with it for a few hours. It is possible to put circuits back on once they’ve been tested, but it will slow down the process. Ensure your electrician has free access to all lights, sockets and light switches. This means clearing areas where they will need to work before they arrive (children’s bedrooms, lofts and offices can be tricky). Don’t expect your electrician to issue you with a quote for remedial works immediately. It will take approximately 48 hours to process the data from the check itself before they can do this. It can take longer, particularly if you need extensive remedial works, which require a further visit from your electrician to discuss options before they can issue a quote. Expect the report to uncover some ‘failures’ in your wiring system. Just because your lights switch on, it doesn’t mean the underlying system is safe. Remember the problems uncovered in an initial check are likely to be the most expensive. Once major faults are corrected, subsequent checks are likely to find fewer problem areas. If you would like a thorough safety check on your home’s electrical systems, choose a Which? 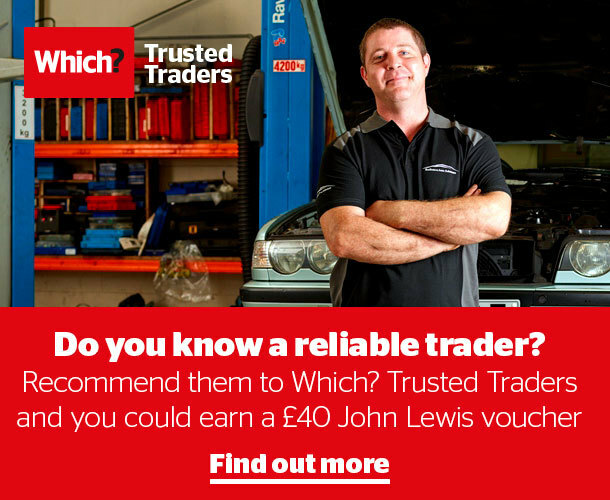 Trusted Traders-endorsed electrician for a trader you can trust.